UBC Day 26 - What makes a successful blog? I can be serious the rest of the day. The post made me realize that I don’t do any of this. Does that mean I’m a failure? I guess it would depend on the definition of what a successful blog is. I have a small readership. I often blog about silly things and write silly poetry just for fun. I post cute photos of my pets and pretty photos of Nature. I write about things that touch me. I write about life's lessons that I've learned the hard way and how I'm still learning and evolving each day. I don’t always have useful content. I don’t have an email list. I don’t use keywords that Google can find. And I don’t make a cent either. If I worried about all the ways I "Should" be doing my blog according to all the experts, I probably wouldn't blog at all. The main thing is I enjoy expressing myself creatively. I enjoy sharing quotes that I love along with my photographs. I enjoy connecting with the few readers that I do have and see my blog as an online diary. I’m not out to get 10,000 subscribers and get a great Alexa rating. Who the heck is Alexa and why do I care so much what she thinks? I’m having fun with my blog even if no one but me reads it. And it's way cheaper than therapy. That’s good enough for me. What do you think defines whether a blog is successful or not? I think the success of a blog, mine at least, is determined by weather or not I am on the verge of total collapse. If I am, the blog isn't working or I'm not using it. That would be failure. If I'm functioning in society and not harming my fellow citizens, it's a success! Good one, Jo! I agree. It's way cheaper than therapy! Thanks for commenting. I write for my satisfaction too :) I don't have a theme or a niche but I am cool with it. If it gives you pleasure, your blog is a success. Thanks for your support, Debbie. Interesting to hear about you and your blog. You're so right. Personal satisfaction and interacting with others are what matters. I no longer write in a paper diary which is a bit of a shame but I see my blog and Facebook as diaries of sorts. I haven't blogged in so long that I had to reactivate my account. That simply will not do! This month I'm doing Photo a Day prompts and making the photo that I take a bit more artsy with the addition of a quote, graphic edit, or one of my original poems. Along with another lady in the group, we are doing what we call Artsy June. I started at the beginning of June and here it is the 13th already. Oh well. No time like the present. 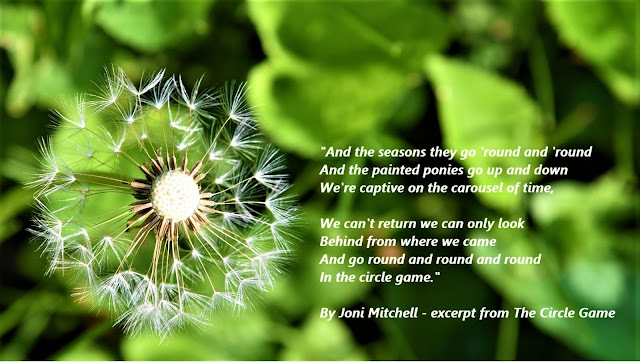 Here is my first one for Circle with thanks to Joni Mitchell's song The Circle Game for inspiration. 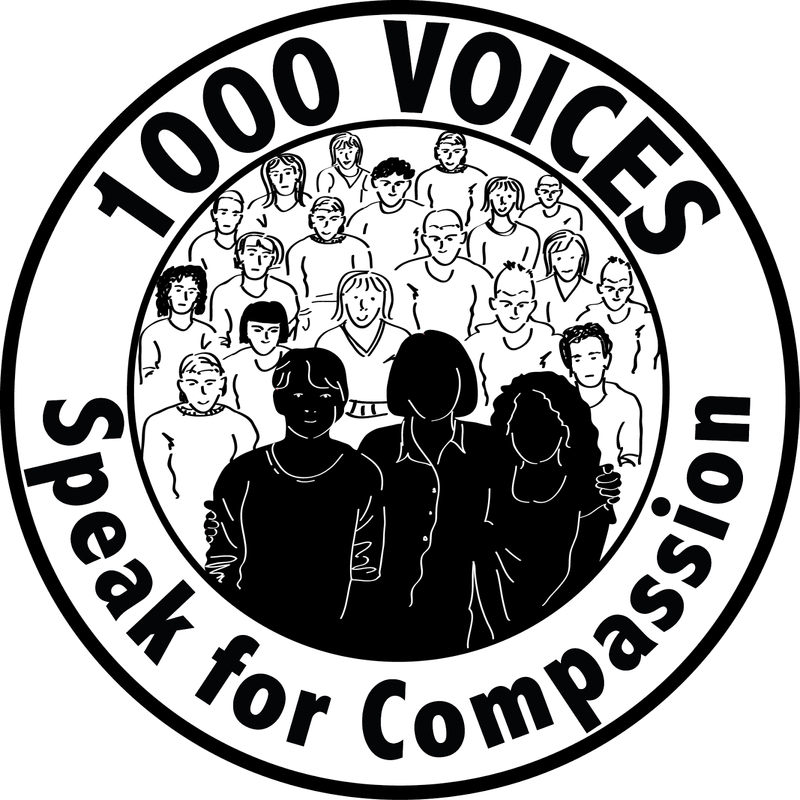 I am taking part in the special blogging movement #1000 Speak for Compassion. In honour of this special movement, I am writing an Acrostic Poem using the word Compassion. If you show compassion every day Your life will be blessed in every way! where we can share these 26 questions and learn a bit more about each other. She has a Linky set up that is open for a month should you care to join in on the fun and want to share your post. Here are my questions and answers. Some answers were sad and some were silly, but all in good fun, right? Should I make stuff up or tell it straight? Just hurry up, Cathy. It's getting late! Will anyone care about this fluff? Does anyone even read this stuff? I promise to read yours if you do one! 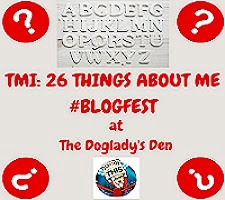 My 26 things about me for you! C Current time Mid morning, almost noon and I’m being lazy lolling about in pjs. Hey, it’s Saturday! D Drink you last had – COFFFEEEEEEEE! UBC Day 29 - Take a risk! UBC Day 15 - Have a Beautiful Butterfly Day! UBC Day 14 - Take One Positive Step Forward. UBC Day 4 - You have sight but do you really see?